Nasal congestion, also known as stuffy nose, is a common condition that is experienced when too much mucus develops inside the nose. This leads to the swelling of the nose’s tissue lining and the inflammation of blood vessels inside the nose. It is usually caused by common cold, sinus infection, allergies, and flu. A congested nose might only cause annoyance to adults and adolescents. However, this medical condition can be fatal for newborn infants because it can cause them to develop serious breathing problems. Different kinds of natural treatments are used for curing stuffy nose. Here are some of the effective home remedies that most people use to cure nasal congestion for good. Neti pots are popularly used to experience fast relief from stuffed nose. They are all-natural treatments that allow patients to treat their inflamed sinuses and noses without the need for any medication. Neti pots look like regular ceramic teapots with extra-long spouts. They are filled with saline solutions, which are later poured directly into the nostril. Neti pots can become one hundred percent effective by holding the head properly and allowing the liquid to run out from the patient’s other nostril. 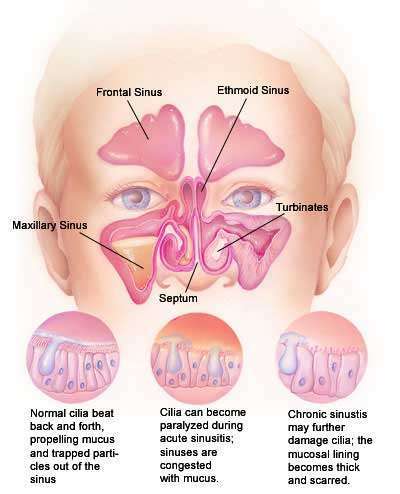 This nasal saline irrigation is effective because it works to flush out the nasal secretion while assisting the cilia to work more effectively. When all the excessive mucus is flushed out, quick relief from nasal congestion is experienced. Saline nose sprays are effective home remedies that are very convenient to use. All you need to do is to buy them over the counter and spray them on your nose every now and then. You can also prepare a homemade nasal wash to flush out the mucus from your nose. All you need to do is to boil one quart of water and to add two or three teaspoons of pickling salt and one teaspoon of baking soda into it. Once it cools down, it can be transferred into a squirt bottle and can be used to clear your clogged nasal passages. Homemade nasal washes are considered as one of the most effective remedies used for curing nasal congestion. Another good way to experience instant relief from stuffy nose is to use the steam coming from boiling water. If you do not have a humidifier in your home, you can just boil a pot of water and start breathing through the steam it produces. If you think the steam is too hot and is burning your nose, you must try breathing slowly to avoid further inconveniences. You can also boil a pot of water, pour it into the bathroom sink, and lean towards the sink. Cover your head and the sink basin with a towel in order to trap the steam and to prevent it from escaping. Breathe slowly and carefully in order to get the best result from this effective home remedy. These are only some of the most effective home remedies used for curing a clogged nose. Once you perform these home remedies, you will feel satisfied with how you were able to cure nasal congestion without drinking expensive medications.